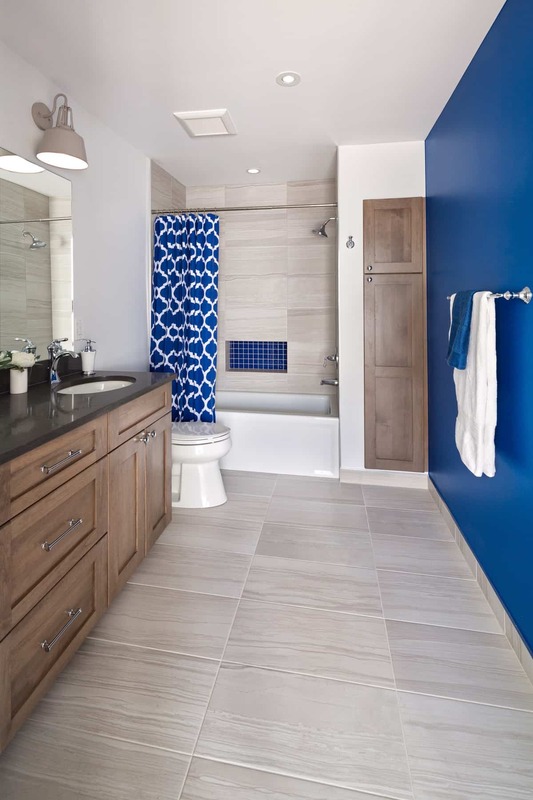 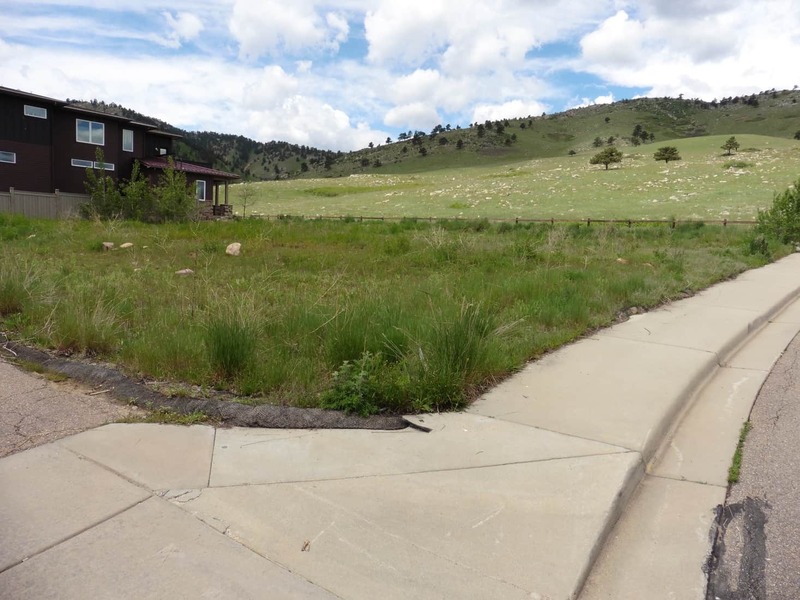 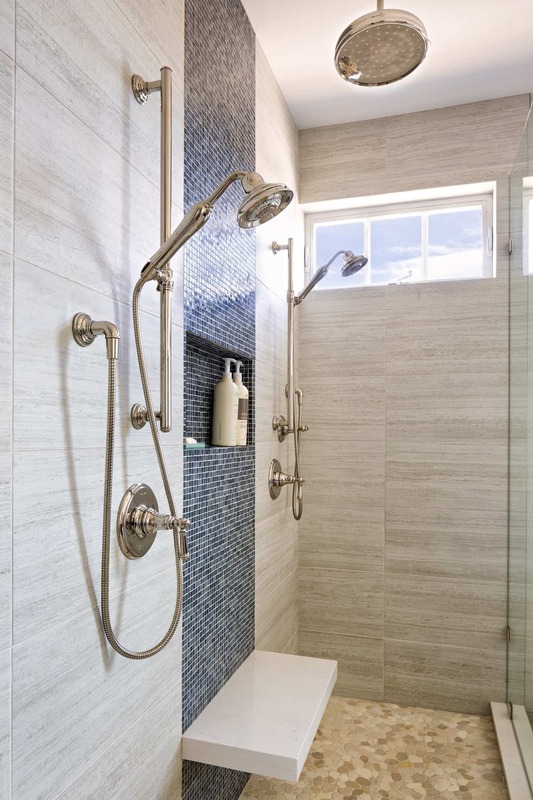 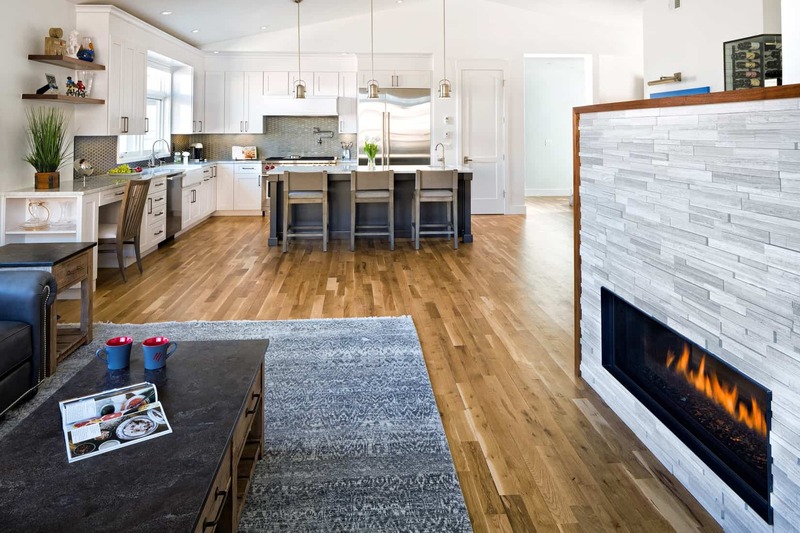 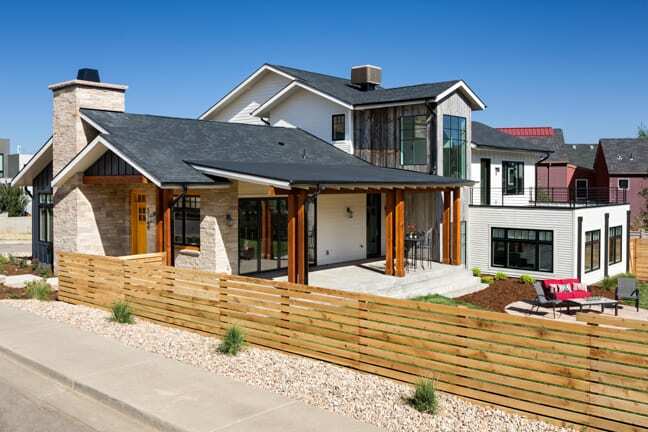 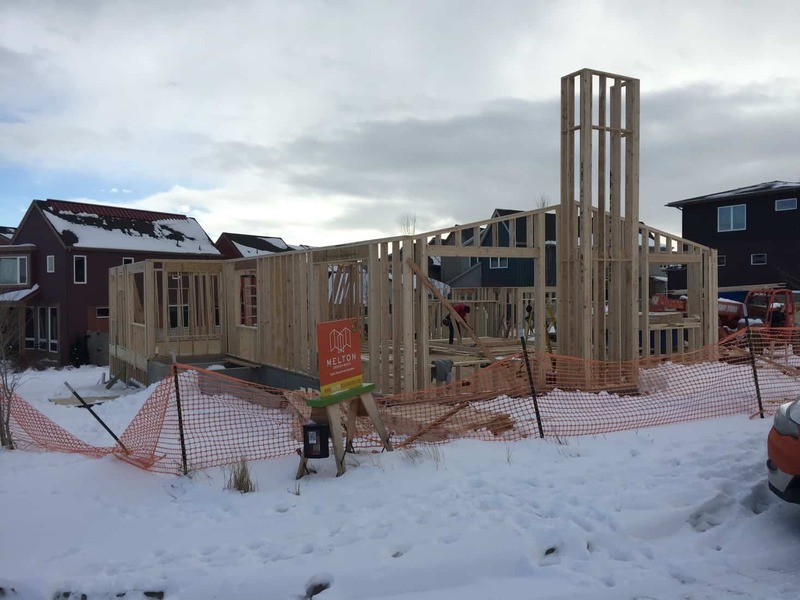 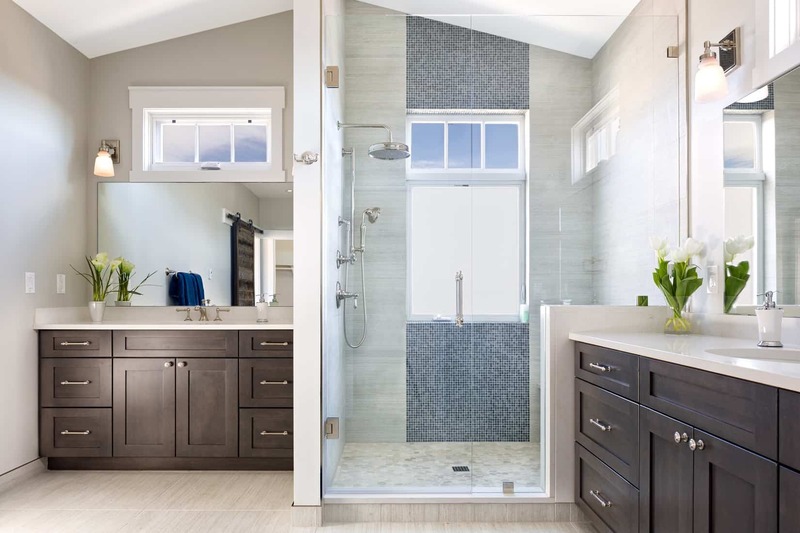 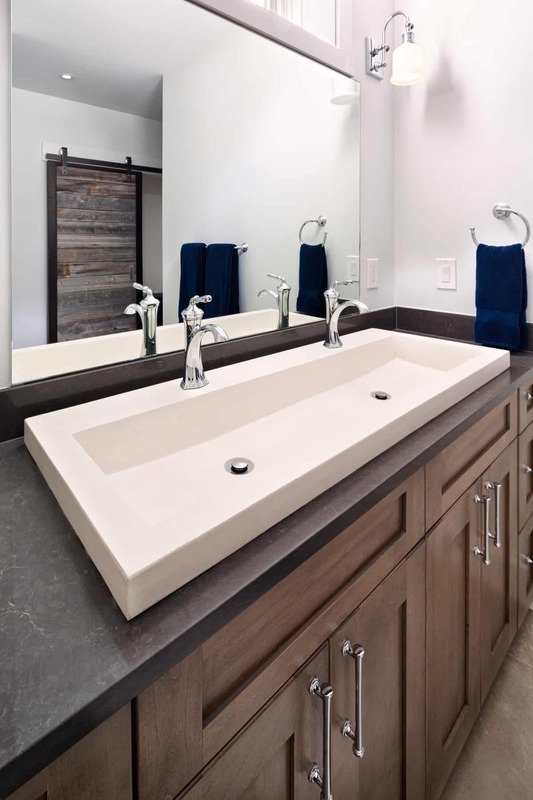 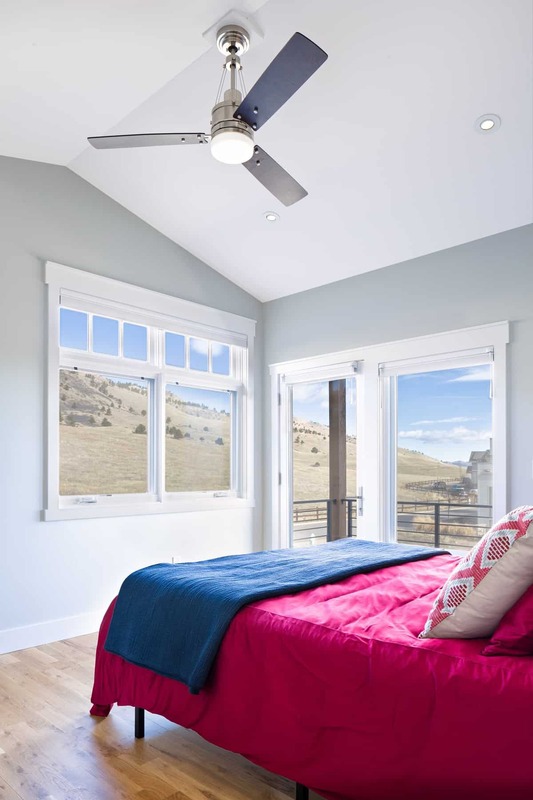 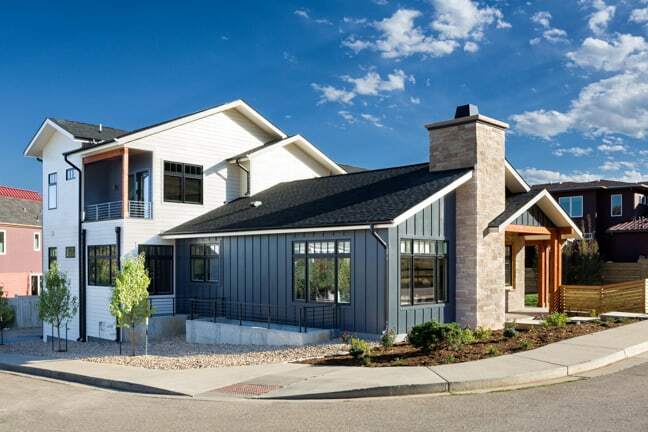 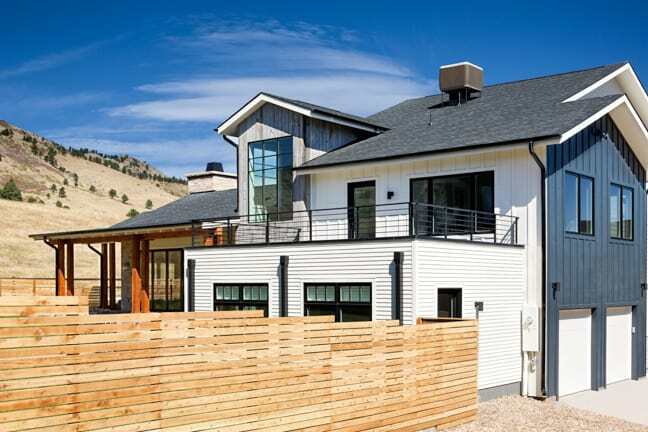 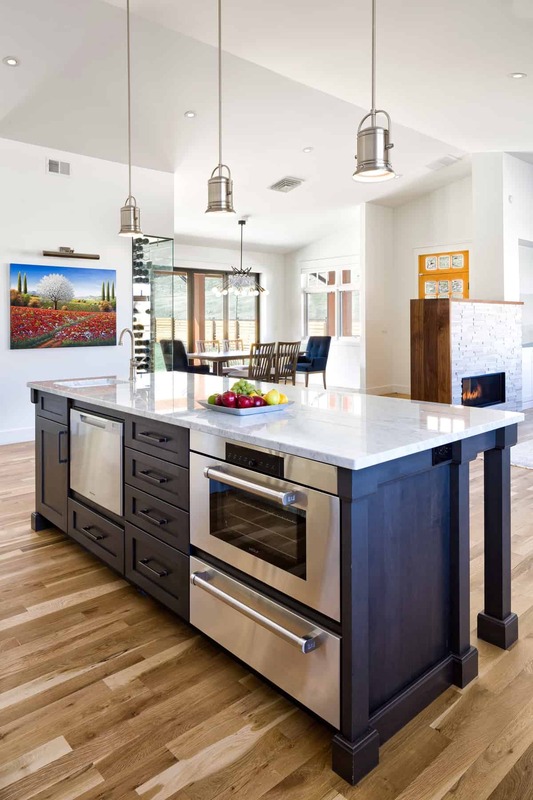 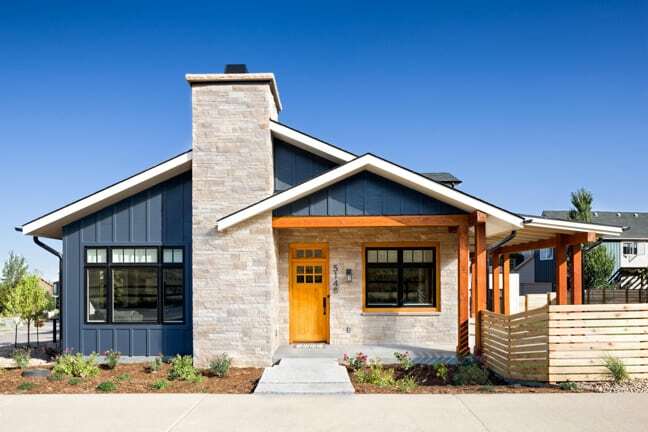 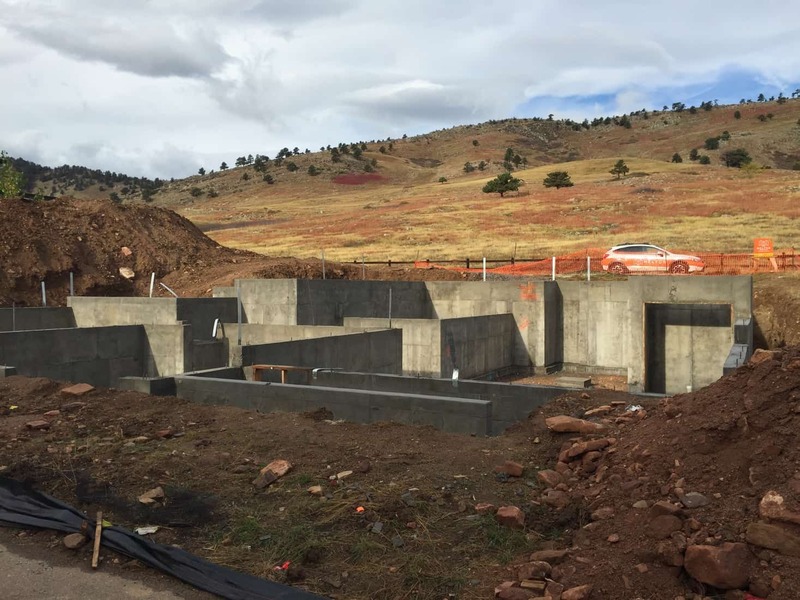 This new home was built at the base of the foothills, and is the perfect home base for taking advantage of all the physical training activities that Boulder has to offer. 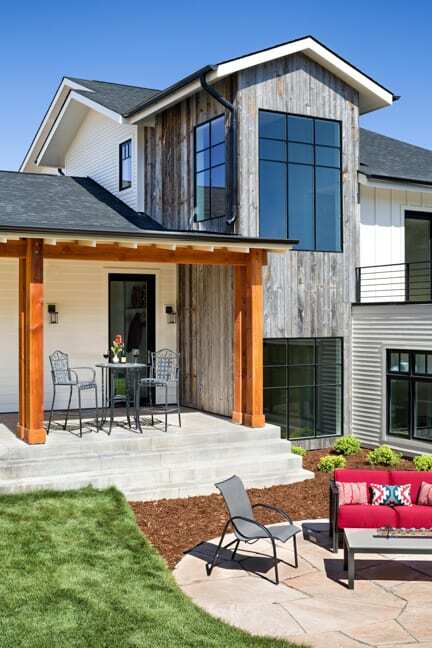 Originally an empty lot, the design of the home had to integrate with the upscale neighborhood while having its own personality. 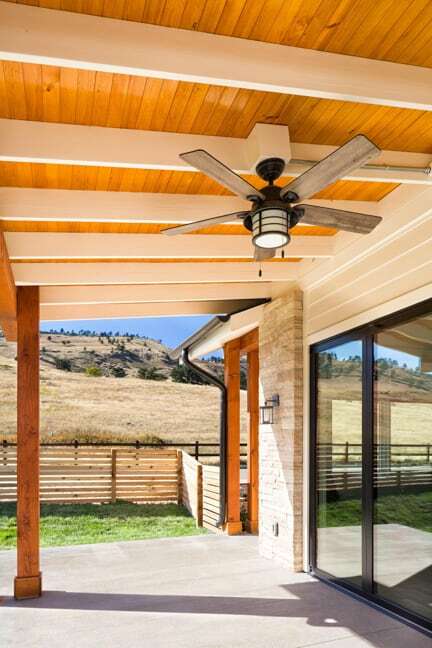 It was also important for the outdoor space to capitalize on the gorgeous mountain views, just steps away from the front door. 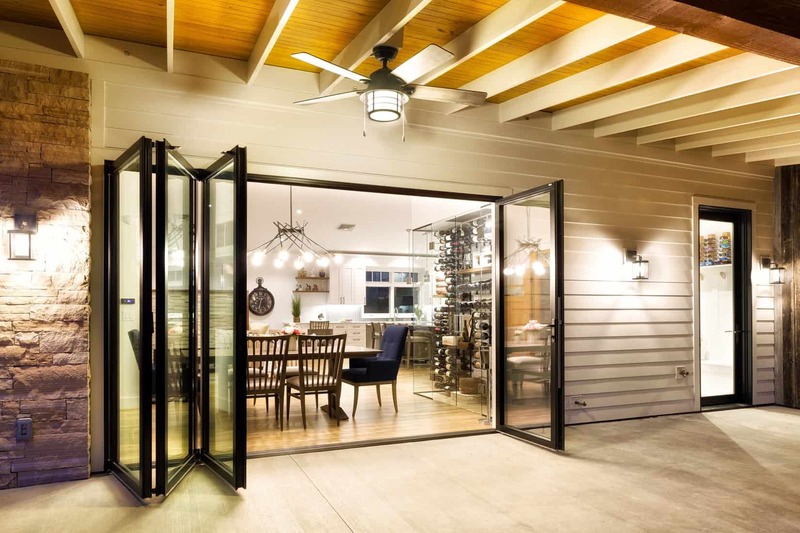 A folding nana wall was installed and elegantly integrates the interior dining area with the exterior patio. 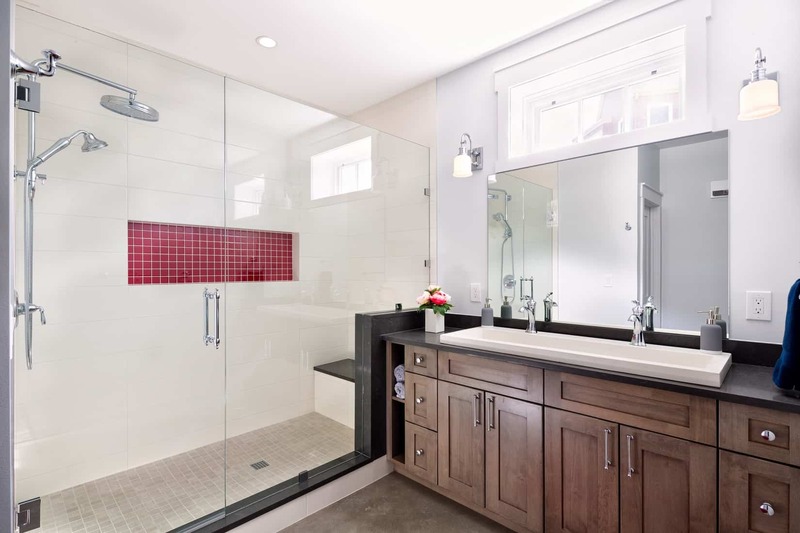 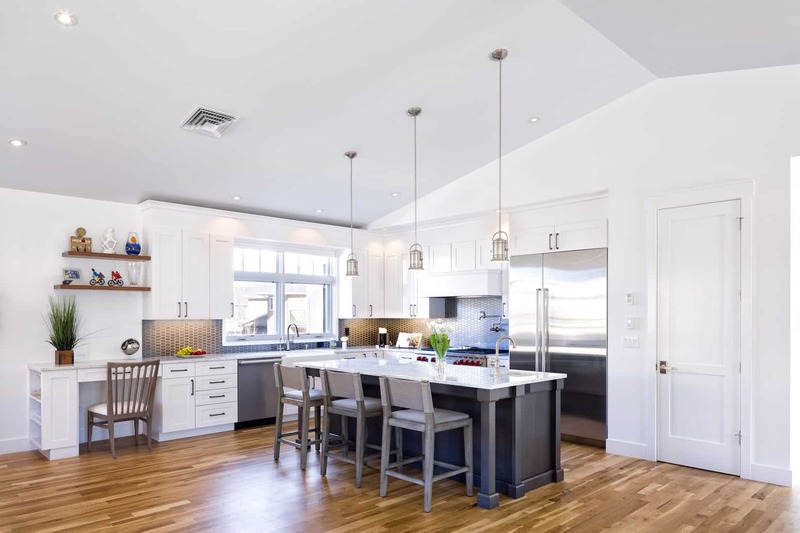 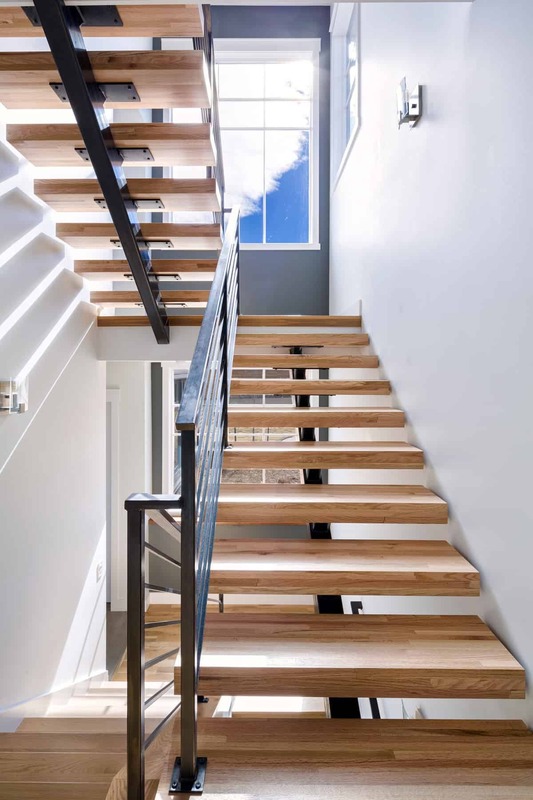 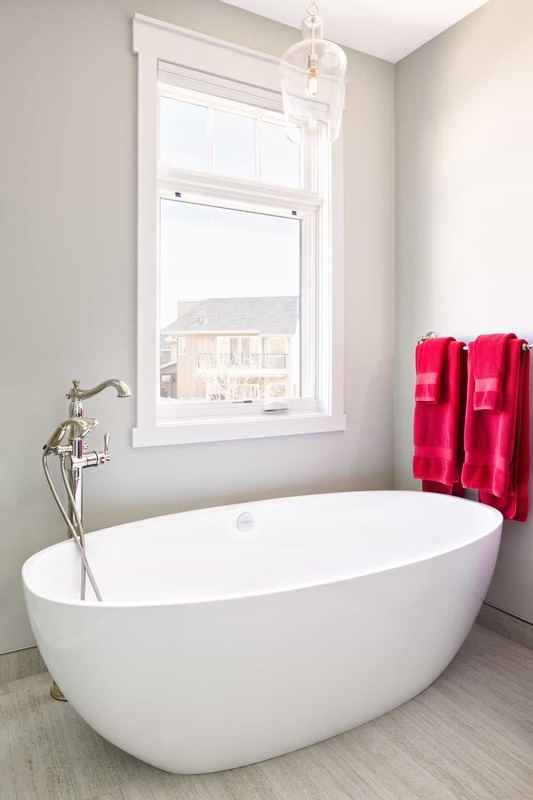 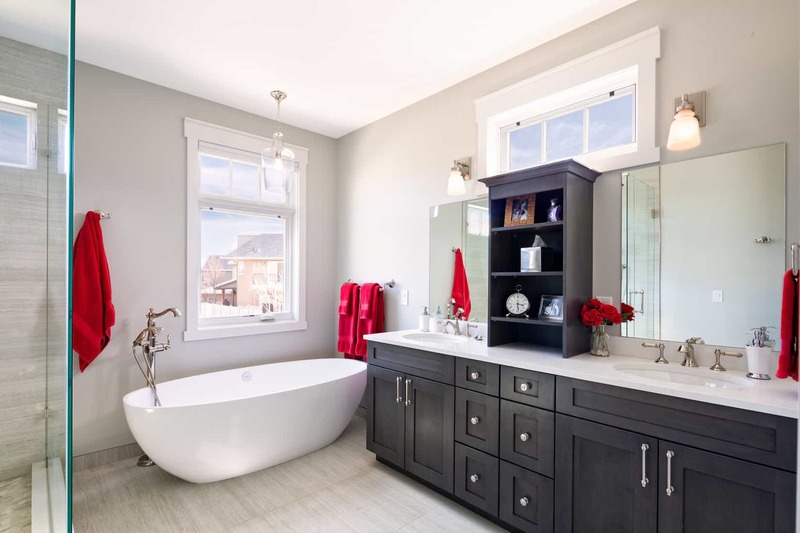 The interior of the home features two master suites, a basement perfect for entertaining, a gorgeous open industrial staircase that connects the 4 floors, a dedicated fitness and training room, guest suites, and more. 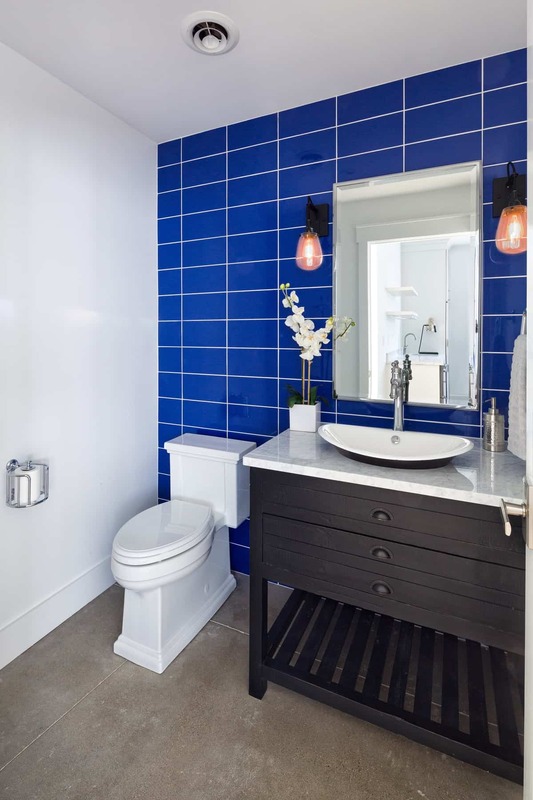 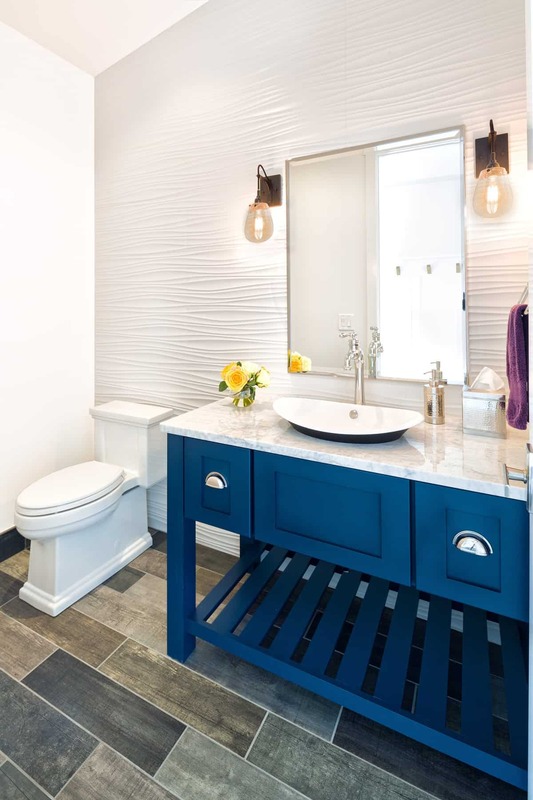 Throughout the space bold pops of red and blue pay homage to the flags of the clients home countries. 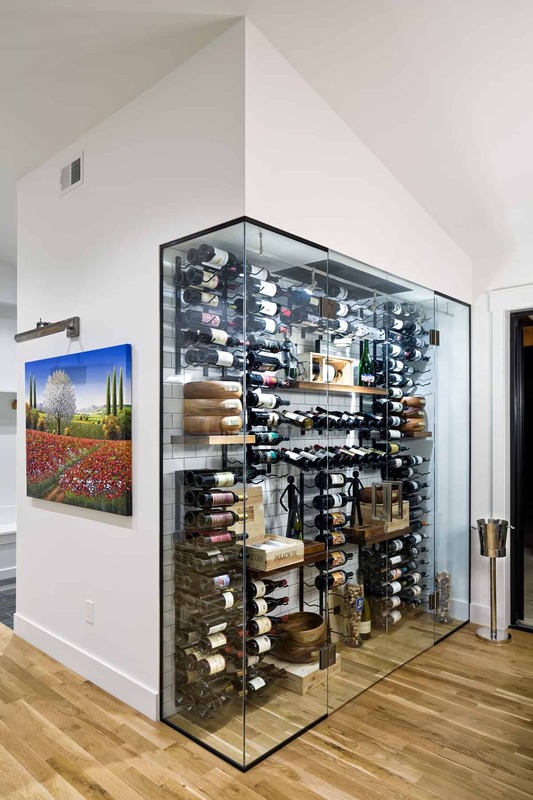 The custom built wine display is a stunning focal point on the main level and makes the home a great place for dinner parties. 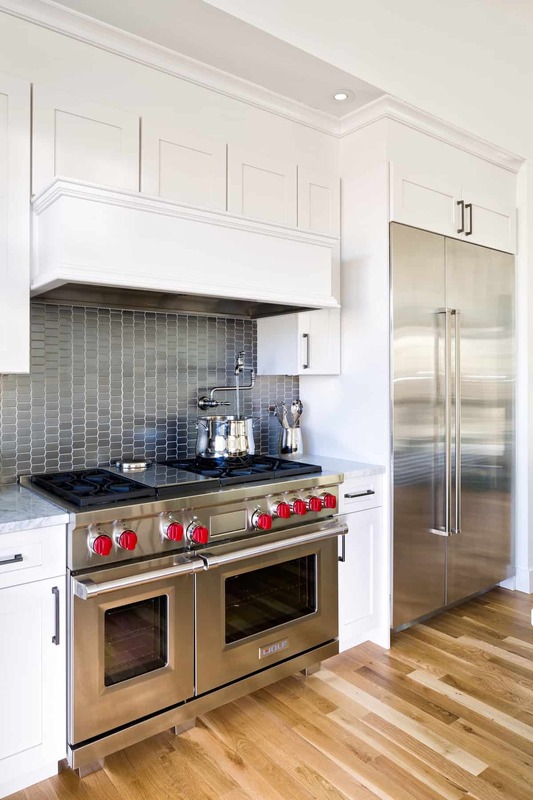 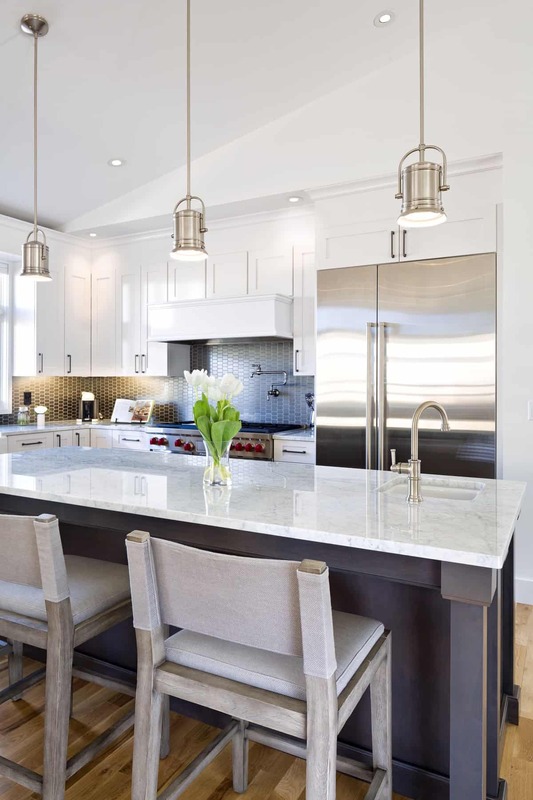 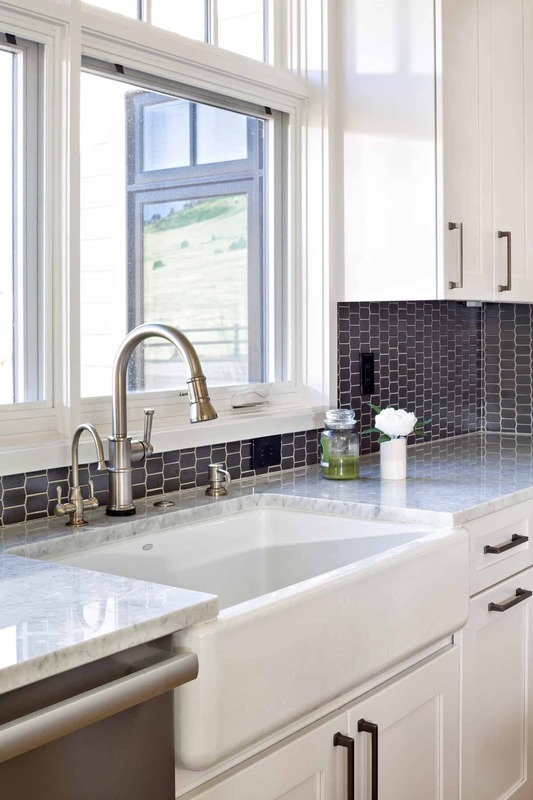 The traditional kitchen has many unique features that increase the beauty and functionality, including a pot filler above the stove, full tile backsplash, prep sink, dedicated wine glass dishwasher, and large island. 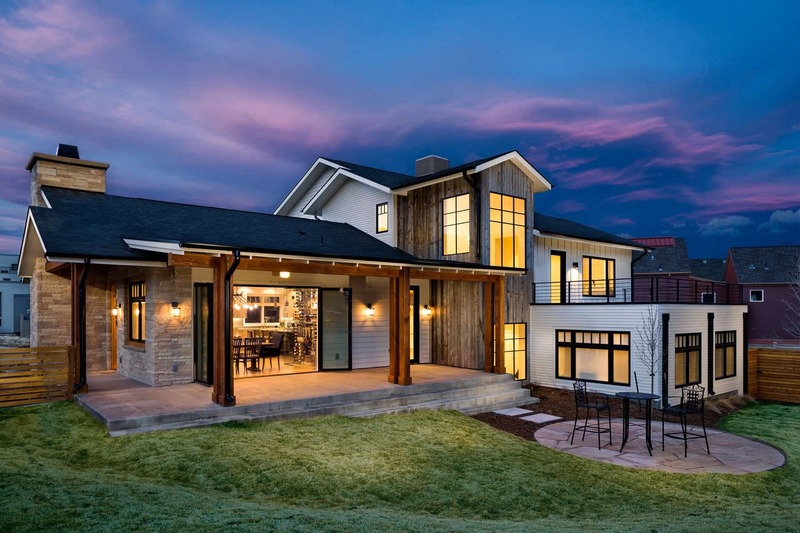 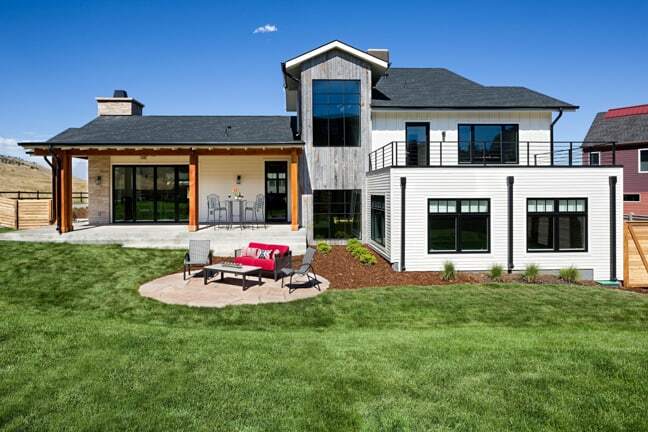 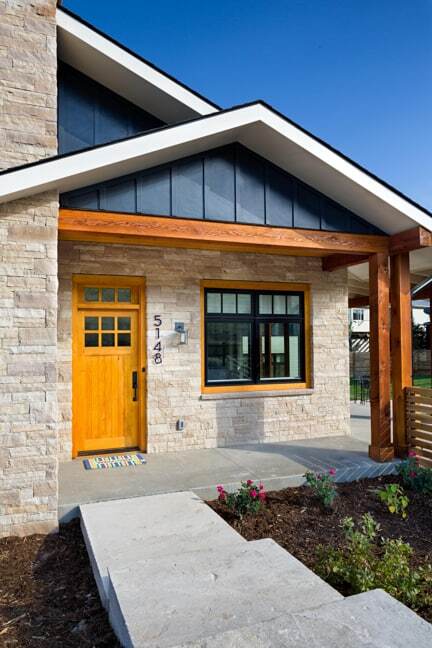 To see even more of this beautiful custom home, check out this cool home tour video, produced by BUILT BY CHOCOLATE MILK.